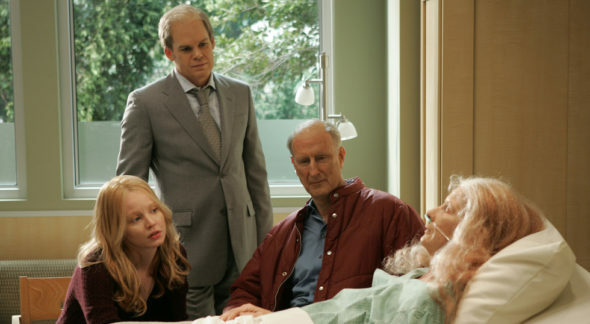 Fifteen years ago this month, Six Feet Under aired its first episode. Recently, creator Alan Ball discussed the HBO series finale in a video interview. The family drama starred Peter Krause, Michael C. Hall, Lauren Ambrose, Frances Conroy, and Rachel Griffiths. The show premiered in 2001 and lasted five seasons before ending in 2005. What do you think? Are you a fan of Six Feet Under? Did you find the series finale satisfying? More about: HBO TV shows: canceled or renewed?, Six Feet Under, Six Feet Under: canceled or renewed? I loved the show. After the finale I felt like I should have been wearing black for a month. Best ending, still makes me cry. Just watched it this past weekend, so awesome, best ending to a show ever! It was so brilliant that every now and then I view it on Youtube. The show was incredible and timeless. A true classic!